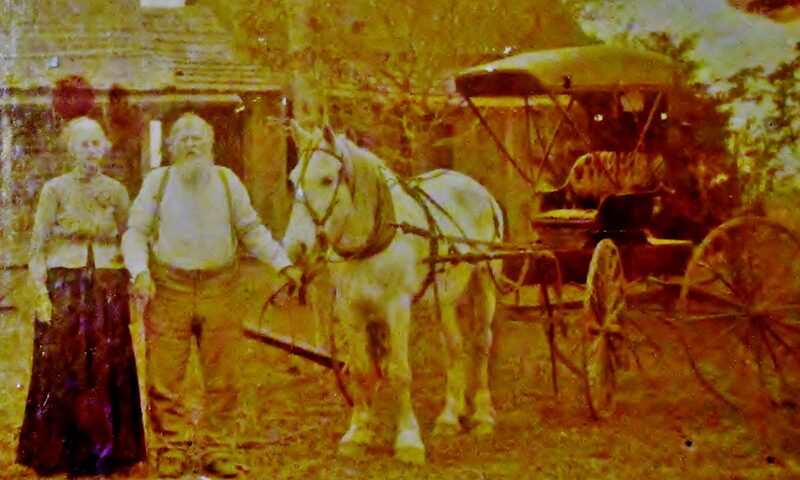 William Brumley Price was my great great great grandfather. I only uncovered his name in early February and was able to visit his burial site with my mother, sister and wife this past week. Here’s how we’re connected. My mother’s name is Bertha Mae Byrd Roberts (Mamaw to some of you.) She was born a Byrd. Her mother was Willie Mae Burns Byrd. She was born a Burns. Her mother was Annie Elizabeth Price. She went by “Bettie” and was born a Price. 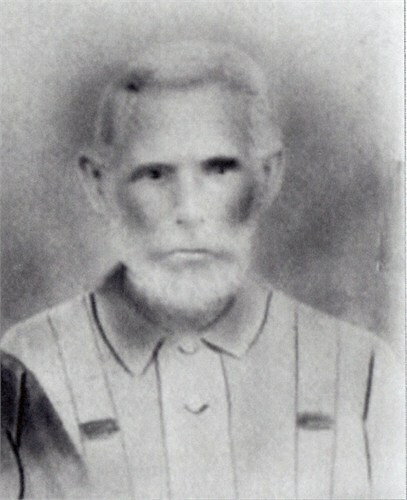 Her father’s name was William Henry Price. His father is the focus of this post. I hope one day to meet the direct descendants of those responsible for erecting the marker and fence. Thank you…and please contact me. 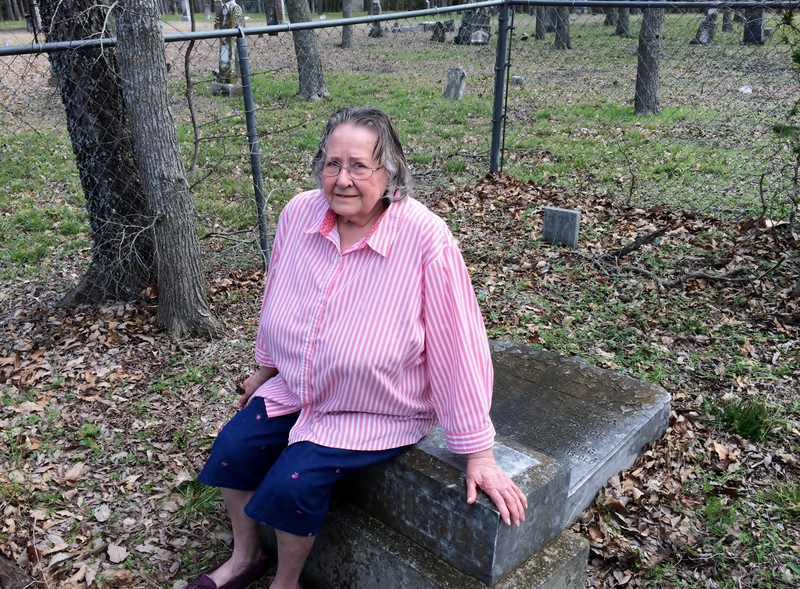 Bertha Mae Byrd Roberts visits the grave site of her great great grandparents in March of 2015. Looks pretty good for 82! Great job of researching. Hope you find your answers. However when you do find them I am willing to bet more questions come up. Thanks for taking time to read the post and comment. I’ve certainly found your observation to be true…but, we love love the mystery and the chase don’t we! I don’t know much about my great grandmother Annie even though her Price siblings have more information available, so I’m trying to research her a little more. She married Andrew Martin Russell and lived in the Dennison area. If you are on Ancestry.com let’s compare info. My Ancestry ID is kwedwardsaz Nice to meet you!! And it’s wonderful to meet you! 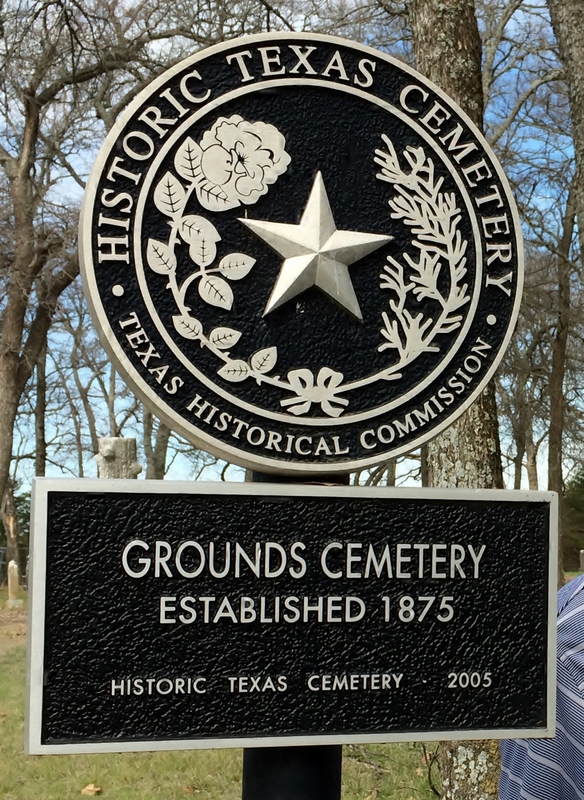 We were just back at the grave last week…but still did not have enough muscle to reset the marker. I’ll check out the tree and we’ll visit by phone soon. Thanks for taking the time to contact me.